Many articles, including those recently published by Howsepian1 and Diamond,2 have been written to support their personal opinion that "brain death" is death. In their idiosyncratic approach, they proceed to defend "whole brain death," "brain stem death," cortical, neocortical, or cerebral non-function, functions, functioning, activity or activities, etc., as "brain death." All this is clarified when the question of death is a search for the truth in accord with the facts, instead of how to find a way to do what is desired. We 3 4 5 and many others, including Shewmon,6 Truog,7 and Seifert,8 have responded to much falseness about "brain death." Neither death nor clarifying the falseness of "brain death" is a matter of "trivial pursuit." It ought not to be a matter of following trends, doing what is popular, or the procurement of organs for transplantation. the Byrne standard or the new Shewmon standard would effectively end 90% of all human organ transplan&shy;tation, or possibly 100% of unpaired vital organ transplantation. This would not be an unacceptable price to pay if the result would be restoration of societal respect for the sanctity of human life that had somehow been lost in the acceptance of whole brain death as tantamount to death of the person. Here Dr. Diamond is stating (it seems) that we have been writing and stating the truth. And we would add, the current status of a fiction for declaration of death called "brain death" part and parcel of the culture of death. A major question to ask is, "Is the person dead?" If the answer is no, then the person is alive and must be treated as such. If we do not know the answer, we are not free to remove organs or carry out research that will kill the person if alive. If the answer is yes, then the question is: "Which set of criteria was used to make the determination of death?" Brain-related criteria are not based on data that would be valid for any truly scientific purpose. The Harvard Criteria9 were published without any patient data and there were no references to basic science re&shy;ports. The Minnesota Criteria10 evolved from a study of 25 patients. An EEG was done on only nine of these patients. Two of the nine had "biologic activity at the time of brain death." Their conclusion: No longer is it necessary for the neurosurgeon to use the EEG in making a determination of death, hardly scientifically valid! The British Criteria11 also do not include the EEG. It was reported in the British Medical Journal12 that the doctors in Great Britain were considerably influenced by the doctors in Minnesota who do not require the EEG. The NIH Criteria were derived from a study known as the Collaborative Study.13 In 1977 the NIH Criteria were recommended for a larger clinical trial, which still has not been done.14 More than 30 sets of criteria had been published by 1978.15 One study published more recently classifies references into Categories of I, II, or III according to significance.16 Most significant would be those in Category I, but not even one reference is made to this category. Half of the references are in the least significant Category III. There are many more sets published of which a physician, a hospital or a transplant center is free to use any one of these sets. Thus, a patient could be declared dead by one set, but not by another. This ought to be the source of very great alarm! The truth is that a person is living until dead. No one can change this truth by saying or stating that "irreversible cessation of the function or "functions of the entire brain, including the brain stem," or "irreversible cessation of cerebral activity," or anything else, is death. Death is when life on earth for this person has ended, i.e., when life has separated from the body, so that all that is left is the remains. The following may help one to understand some of this. There are three sciences established by God for the good of all mankind, Agriculture, Medicine, and Civil Government. God appoints the work of care for all in supplying water, food, clothing and shelter through the Science of Agriculture. To those who deny these staples, the evil is condemned by the words, "Depart from Me" into everlasting death (Mt. 25:41). Now that the Science of Medicine has discovered methods to protect life, preserve life and prolong life that were not formerly available, blame for death can be evident and condemnation is more certain. The care of babies is as constant as the care of needy patients, including those with brain injury, and is just as demanding. "Thou shalt not kill" is binding for all whenever the need is there and the means are available. The culture of death ought not supplant the Culture of Life. The benefit and blessing of advances in the Science of Medicine ought to be rated as a great gift of the science. To deny the good of water and food to those most in need is a terrible crime that denies the reason for the existence of the human race, i.e., to do good and avoid evil which is a gift of God that replaced the evil of Original Sin. The mastery of acts by doing good and avoiding evil can receive the reward of eternal life. Failure to aid the needy is condemned by eternal death. Feed the hungry, give drink to the thirsty and remember, "Thou shalt not kill." A person is "he" or "she," never to be seen as "it,' or as an object to be evaluated subjectively rather than objectively. A person ought not to be evaluated as a commodity that is marketable. Philosophically, a person is an individual substance of a nature that is rational, unique and irrepeatable, a creature of God, a subject of rights and duties, and a substantial unity with life, ability and purpose. The person is created by God for the future of eternal life which is determinate of all knowledge and desires portative of the future. A person, made to the image and likeness of God, is a child of God destined for heaven. From the beginning of life, a person is destined for eternity, the simul&shy;taneous whole and perfect possession of interminable life. Life is the substantial fact of the union of soul and body. The reason and the province of the Science of Medicine is to protect and preserve this unity of soul and body, i.e., to have no consideration of death except to prevent it, to treat each patient for life. The Science of Government is established to safe&shy;guard rights and guarantee justice. Governments are instituted among men to form a more perfect union, establish justice, insure domestic tranquility, provide for the common defense, promote the general welfare and secure the blessings of liberty for all members of the State. This means to guarantee that justice will prevail and each member will receive what is due. The most important obligation of civil government is to guarantee justice in the protection and preservation of the rights of life, liberty and the pursuit of happiness. All other rights of members of the State are derived from these basic rights established by the very creation of the human person. Science is a technical term. Science is certain and evident knowledge of the thing through causes. Healing and aid to prevent death and to avoid harm will even&shy;tuate with the certain and evident knowledge of the injury, wound, shock, sickness or disease and the finding of the best medical treatment and care for the patient. The Science of Medicine is appointed by God to protect life, to preserve life, to prolong life and to enhance the quality of life and the sanctity of life. This constitutes the very definition of the Science of Medicine. Christ, the Physician, is the way, the truth, the life and has revealed that, "I come that you might have life and have it more abundantly." Medical Science has life as its province. In consideration of "brain death," there is a tendency to ignore the fact that it is a person who is the patient. It is not the brain that deserves the treatment. The person is unique and possesses the right of liberty. Liberty is the right of self-determination. The right of liberty is the safeguard of life by the power to do good and avoid evil at any given instant. Besides this, liberty is the right to forecast the future, both to the next in&shy;stant and to the total future with the view of pursuing happiness. Civil government is designed by its very reason for existence to secure the rights of life, liberty and the pursuit of happiness. Justice is the work of civil government, i.e., to guarantee that all members of the state receive what is due in justice. The very nature of government is to render to each what is due. The person is the subject of rights. The person lives and is in charge of his own life. Life is the substantial fact of the union of soul and body. A person is the one who lives and the life of the brain is existent and received and perdures because of the person living. The soul is the very life of the body and of the person. The soul is spiritual, thus it has no parts. Intellect is the power to understand and to reason. The will, as a power of the soul, is the ability (habilitas) to exercise liberty in the performance of deeds. The substantial fact of life is the very exercise of the soul, intellect and will to be, to live, and to understand. This is the very exercise of the rights of life, liberty and the pursuit of happiness. The soul is the substantial form, which is whole and entire in the person and whole and entire in each part of the body, brain, heart, lung and each cell. This is possible because the soul has no parts; the word simply applies meaning without plexuses. The fictitious application or intrusion of the idea of "brain death" is a planned falseness to intrude on the life of the person in order to do the evil of murder by organ transplantation. The autonomy of the person is violated by the evil of organ transplantation. This evil violates the basic rights of life, liberty and the pursuit of happiness. The total power of civil government received from the consent of the governed is established to secure these rights. To consider the brain as the site or the location of life of the body is a misconception of either the soul or the life of a person. The soul is the life of the body; the person is not an insert located someplace within the confines of the body. The reality of soul and life are whole and entire in the soul and whole and entire in each part. The soul has no parts but the person formed by soul and body has parts. A better way of portraying the locus of the soul is to realize that the soul contains rather than is contained in the body. The soul is spiritual without parts, simple in the true sense of the word (Cf. Summa Theologica, I, Q75, A.3; Q119, A.2, and really all questions from 75 through 118). It seem that concentration on the brain in "brain-death" is a ploy related to the harvest of organs. There is dishonesty in the false restructuring of the human body and chang&shy;ing the definition of the human person to assume own&shy;ership with title to dispose of parts. There is no consideration of justice and rights of the individual substance of a nature that is rational. The very person, who is the patient, deserves care to protect life and to preserve life until natural separation of soul and body, which is the termination of life on this earth. The purpose of the Science of Medicine and the work of all physicians is to protect life from its beginning and to preserve life until soul and body are separated naturally. There is no such idea as a "dying" person. A person is living until death; there is no third state, "dying." (St. Augustine, City of God, Book xiii, ch. 11). Forget the idea of "brain death" and concentrate on the life of the person, whole and entire in the whole person, and whole and entire in each part of the person. Consider and understand that life and continuation of life is dependent upon the interdependence of many organs and systems to maintain the unity of the body. The brain cannot operate if the heart is not beating, thus no circulation. Likewise, the liver and the kid&shy;neys cannot function if the circulatory and respiratory systems are not functioning. Discussion and dissertations about "brain death," including other words, such as irreversible cessation of brain function, functions, functioning, cerebral activity, cerebral function or whatever, never will and never can indicate death. A person is living until dead; life of the person comes from the designer. After life has separated from the body, what is left are the remains. To state that life has left the body when there is a beating heart, normal blood pressure, normal temperature, and normal color is false. When pressure is applied to the skin, it will blanch only to have normal color return after the pressure is released and when the knee is tapped, the knee jerk is present. Many other evidences of being alive continue in those declared "brain dead." In common language, it is not the truth to say that "brain death" is death. To know that one is stating a falsehood is a lie. No amount of manipulation by any one or any group can make something false to be the truth. (Reprinted with permission from The Linacre Quarterly, the official journal of the Catholic Medical Association. Dr. Byrne, a neonatologist in Toledo, OH, is Clinical Professor of Pediatrics at the Medical College of Ohio. Fr. Rinkowski is retired from parish work and remains active in consulting in moral matters as well as making himself available when a priest is needed by a critically ill patient. 1. Howesepian, A. A., "In Defense of Whole-Brain Definitions of Death," Linacre Quarterly, 1998; 65(4):39-61. 2. Diamond, E. F., "Brain-Based Determination of Death Revisited, Linacre Quarterly, 1998; 65(4):7 1 -80. 3. Byrne, P. A.; O'Reilly, S.; Quay, P. M.: "Brain Death-An Opposing View&shy;point," JAMA 1979; 242-.1985-90. 4. Byrne, P. A.; O'Reilly, S.; Quay, P. M.; Salsich, P. W., Jr.: "Brain Death-the Patient, the Physician, and Society," GonzagaLawReview, 1982/83; 18(3):429&shy;516. 5. 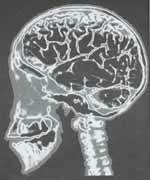 Evers, X.; Byren, P. A., "Brain Death-Still a Controversy," The Pharos of Alpha Omega Alpha, 1990; 53(4):10-12. 6. Shewmon, D. A., "Recovery From `Brain Death': A Neurologist's Apologia," Linacre Quarterly, 1997; 64(1):3 0-96. 7. Truog R. D., "Is It Time to Abandon Drain Death?" Hastings Center Report, 1997, 27(t).29-37. 8. Seifert, J., "Is `Brain Death' Actually Death?" Monist, 1993;77(2):157-202. 9. Beecher, H.K., "A Definition of Irreversible Coma." Report of the Ad Hoc Committee of the Harvard Medical School to Examine the Definition of Brain Death, JAMA 1968; 205:3337-3340. 10. Mohandas & Chou S., "Brain Death: A Clinical and Pathological Study," Neurosurgery, 1971; 35:211. 11. Conference of Medical Royal Colleges and Their Facilities in the United Kingdom, Diagnosis of Brain Death, BMJ 1976;2:1187-1188. 12. Jennett B.; Gleave J.; Wilson P.: Brain Death in Three Neurosurgical Units," BMJ 1981:282:533-539. 13. National Institute of Neurological and Communicative Disorders and Stroke Monograph No. 24. The N.J.N.C.D.S. Collaborative Study of Brain Death (NIH Pub. No.81-2286) 1980:1-203. 14. "An Appraisal of the Criteria of Cerebral Death: A Summary Statement: A Collaborative Study," JAMA 1977;237:982-986. 15. Black, P.M., "Brain Death," NEJM 1978; 299:338-344, 393-401. 16. Wijdicks, Eelco F.M., "Determining Brain Death in Adults," Neurology, 1995;45: 1003-1011.